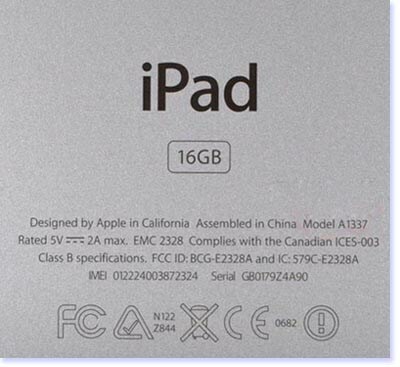 The Apple iPad 3G version will soon hit the domestic market, the Ministry of Radio Authority website shows 3G version of Apple iPad, recently approved by the Radio Authority. / WLAN data terminals equipment, model A1337, valid for 5 years. As the electronic products need 3C certification and the Ministry of Industry and Radio Authority network license to hit the domestic market , prior to this 3G iPad adopted on November last year for 3C certification. On Wednesday Apple spokeswoman Caroline Wu said "the company plans 3G and Wi-Fi capabilities of the iPad sale in China" but declined about specific schedule time. Apple's Wi-Fi Edition iPad is under the sales currently.